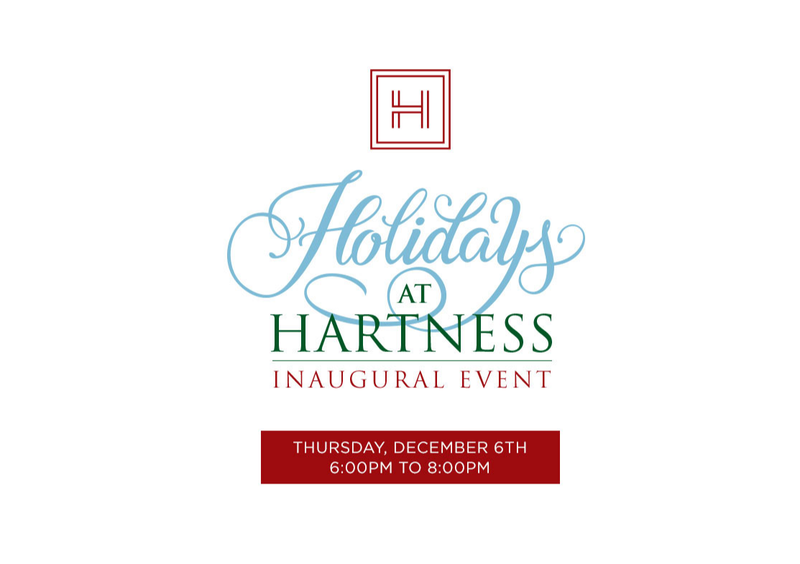 Hartness is excited to invite the Greenville community to “Holidays at Hartness” A Community Tree Lighting Celebration on Thursday, December 6th from 6:00 – 8:00 P.M. The event will take place on the iconic Grand Lawn, where one of the largest live holiday trees to be displayed in Greenville will light up the Hartness neighborhood. This inaugural community event is open to the public and will feature a gourmet food truck, live entertainment, cookie decorating, festive holiday beverages by an open fire and holiday cheer the entire family is sure to enjoy, including a visit from Santa. The first 100 guests will also receive a complimentary cozy holiday blanket. In honor of the giving season, the Hartness family invites the community to collect and bring with them new, unwrapped toys to be donated to children in need through the Marine Toys for Tots Foundation.